The Gardasil HPV vaccine is currently not one of the vaccines on the CDC schedule for vaccines required for school-aged children. However, in the state of Rhode Island, the Rhode Island Department of Public Health has mandated that the Gardasil HPV vaccine must be given to 7th graders in both public and private schools. Lawmakers such as Sherry Roberts believe that the Department of Public Health has overstepped their bounds by mandating a vaccine that is designed to fight a virus not transmitted by air, but only by sexual contact, and that the decision on whether or not to receive the vaccine should be with parents. Roberts and others have introduced a bill to allow informed consent for the Gardasil HPV vaccine, rather than mandate it for everyone. One pediatrician from Rhode Island, who claims to represent all pediatricians in Rhode Island and opposes Roberts' bill to allow parental consent to the vaccine rather than mandating it by force, stated that he was "too busy" to allow "informed consent" to vaccines. He also lamented how he would be unable to vaccinate children if their parents did not approve, and clearly stated that his goal is to vaccinate as many children as possible. 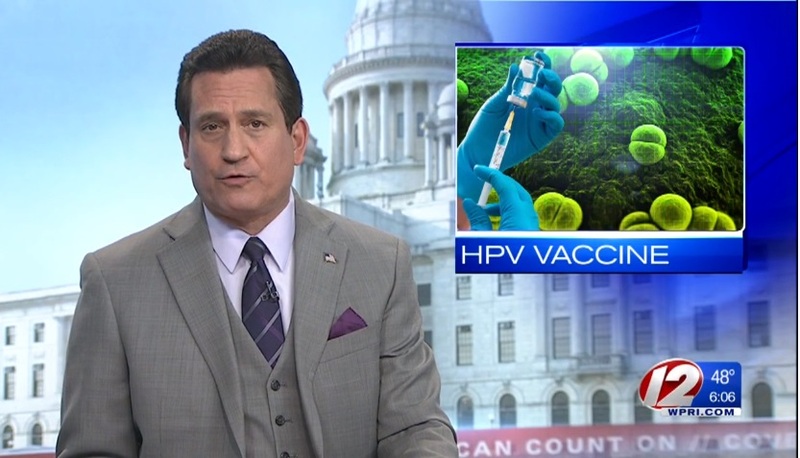 He states that among states nationwide, Rhode Island is the envy of the pro-vaccine pediatricians because they have the highest rates of Gardasil vaccination of any other state, due to the fact that the Rhode Island Department of Public Health mandates the vaccine for 7th graders. I love how he gets laughed at for saying Gardasil is one of the safest vaccines, according to the vaccine reporting system! Those of us who are familiar with VAERS know it's one of the most damaging vaccines out there, and so far has had to pay out the highest amount of money to those injured by it, compared to the pay-outs for other vaccine injuries! This guy is a liar, and a tool for the vaccine industry!